San Francisco: Bonhams & Butterfields, 2007. Paperback. 200, profuse fullpage and vignette exhibit photos in color on high-gloss paperstock (but the terminal fifteen pages are shown in b&w). The usual top-of-the-line format: 10.5x8.5 inch coated grey wraps. 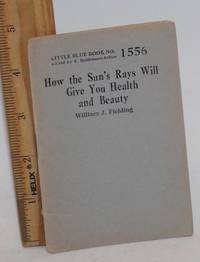 Top edge is bumped with slight creasing, head of spine panel is crushed with a quarter-inch tear, generally presentable nonetheless, a good (good-only) copy. Findlay OH: Old Barn Auiction, 1998. Paperback. 21p., shows items 1-555, softbound in 11x8.5 inch slick wraps and printed on coated paperstock, a mix of b&w and colorphoto vignettes with most images quite small. Laid in find some house ephemera including a long list of "prices realized" and a 17x11 inch colorphoto fold-out showing arrowheads and other small stone things. Item is handled, with creasings, staple-holes (from preparation to mail), and a food fleck: a good ("good-only") copy. 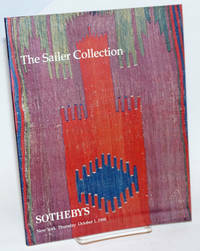 New York: Sotheby's, 1998. Paperback. 92p., profuse full- and half-page exhibit photos in color on high-gloss paperstock. The usual top-of-the-line format: 10.5x8.5 inch coated grey wraps. . A nice undamaged, unmarked copy. 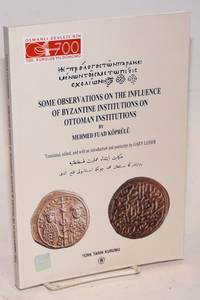 Bloomington: Indiana University Press, 1989. Hardcover. 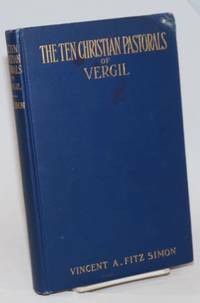 xviii, 280p., illustrated with scattered tables, figures and photos; first edition hardbound in grey cloth titled black and bright blue dust jacket titled white. Jacket edgeworn with a couple short tears and a seller's small sticker at the upper corner; item is otherwise quite sound, clean and unmarked, a very good copy. 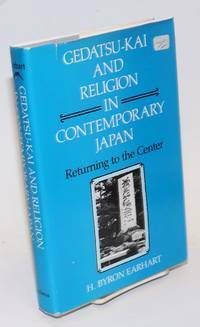 Gedatsu-Kai originated in the late 1920s, a sort of back-to-Shinto with modern trappings. By Fitz Simon, Vincnet A., M.D. New York: printed for the author by J.J. Little & Ives Co, 1912. Hardcover. xxiii, 209p., texts and tables of code as promised, first edition 9x6 inch blue cloth boards gilt-titled, A prominent flaw: both upper corner-tips are bumped and damp-damaged. Aside from this eyesore just a little edgewear, clean and sound within. Jakarta: Yayasan Pelita Wisata, 1973. Paperback. 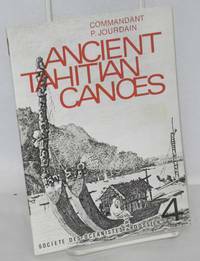 79p., illustrated with b&w and color-photo sections, and also diagrams. Softbound, second printing in 8x5.5 inch wraps. Cover is a little edgeworn with a light small corner-crease, a good to very good copy. Tokyo: Centre for East Asian Cultural Studies, 1964. Hardcover. 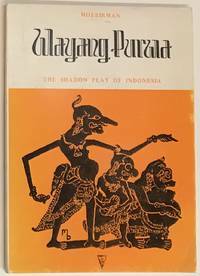 vi, 148p., XVII (plates on coated stock), other scattered plates, line maps (one folding) and tables, hardbound in 8.5x6 inch black cloth boards titled in bronze, and plain printed dust jacket. An unmarked nice clean sound copy. London: Chapman and Hall, Limited, 1892. Hardcover. 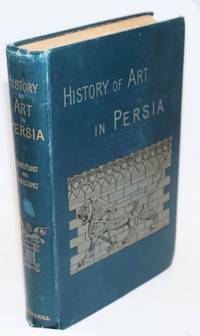 Good plates, all present, find our accounting below; xii, 508p., illustrations as called for; hardbound in 10.5x6.5 inch bluegreen cloth boards spine-titled gilt and decorated in grey and black. Ex library, with an inoffensive bookplate on pastedown and no other markings; both hinges cracked, uglyfied but holding, edgewear to casing. Textblock gapes slightly along several gutters, and two such spots have been strengthened (successfully) with fabric document-tape at p.176/7 and 192/3. A reasonably good, better-than-"reading copy", shall we say fair to good-only. Plates (fullpage and folded ones together) tally according to the printed list of XII in preliminaries, these are located properly and and are all in remarkably good shape save for a stained margin at p.292. Expect four in color, five in steel, and three folded ones in steel; a number of these are artists' renderings what the buildings might have looked like. Barcelona: Impreso en los talleres de Poligrafica Sarria [for Turkish travel agencies? ], 1930. Pamphlet. 32p., profusely illustrated with fuzzily-reproduced tinted site photography, line maps and table of exports. Softbound, an oblong pamphlet in 5.5x8 inch pictorial wraps, fastened with a stingy single staple but in quite good shape, clean, sound and unmarked. Fishers fishing, peasants collecting opium, tourists in Roman ruins, many scenic views. 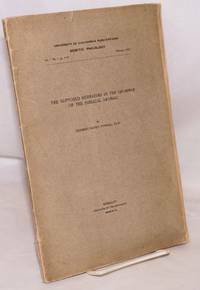 Girard KS: Haldeman-Julius Publications, undated. Pamphlet. 32p., small paperbound booklet in 5x3.5 inch plain printed buff wraps. Paperstock toned, mild edgewear and crimping, a good-only copy. Little Blue Book no. 1556. 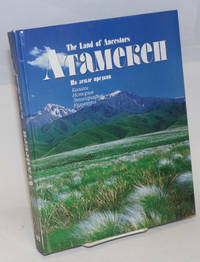 Acmaha, Kazakhstan: government press, 2002. Hardcover. 277p., printed on glossy paperstock throughout, running texts in Kazakh, Russian and (to a limited extent) in English; large pictorial with exclusively color photography hardbound in 11x8.5 inch laminated photographic boards. Slightest edgewear, a clean, sound, very good copy. Zagreb: Turistkomerc, 1989. Paperback. 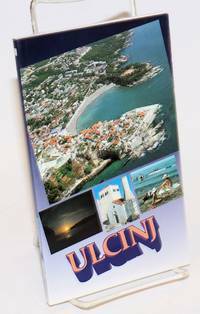 Guide promoting tourism, text entirely in French; 95p., printed on slick thick paperstock profusely illustrated with captioned color photography throughout a simple running text. Paperbound, 7.5x4.5 inch color wraps, a nice copy: faintest edgewear, light small pressure marks, no ownership or other markings, perfectly sound. Bibliotheque "rencontres" numero 7. Ankara: Turk Tarih Kurumu Basimevi, 1999. Paperback. 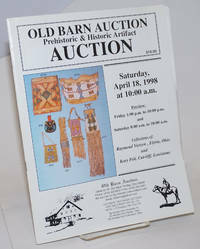 ix, 195p., paperbound in glossy 9x6.5 inch decorated wraps. Nice copy; has a couple short pencilled owner's noted on the half-title, no other marks, a clean sound copy. Ataturk Kultur, dil ve Tarih Yuksek Kurumu / Turk Tarih Kurumu Yayinlari. VII. Dizi - Sayi 138. New York: A New Directions Book, 1951. Hardcover. p., characters and text together throughout with the majority printed as versos of fullpage white-on-black printblocks facing Ezra's English. Black 9.5x6 inch cloth boards gilt in bright yellow dust jacket. 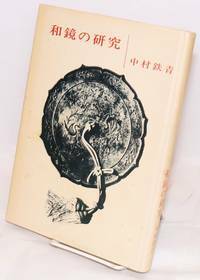 Jacket is uniformly bright still, but rather edgeworn with five small chips across the top margin and a couple of short closed tears, while cloth is mildly shelfworn across bottom margin and has a faint short pressure shadow on the cover. No ownership or other markings, a nice sound copy. 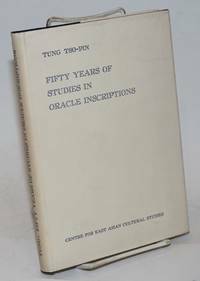 Edition status unsure without a Pound bibliography, probably the "first" (New Directions notoriously cozy with this info) "in book form." First issued in journal form, Pharos #4 Winter 1947. 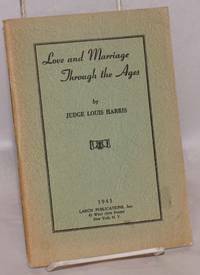 New York: Larch Publications, Inc, 1943. Pamphlet. 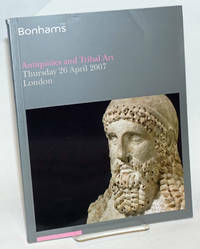 40p., staplebound pamphlet in 7.5x5 inch printed textured wraps; mild signs of handling and mild toning, old ownership stamp inside front cover, otherwise clean and sound, a good copy. Amateur science, from protozoa to societal pairings amongst "cavemen, cavewomen," to high-density urban living and alimony. Berkeley: University of California Press, 1907. Paperback. viii, 55p., softbound offprint in 10.5x7 inch plain printed grey wraps; unopened (save by ourselves, first signature only), rather worn from neglect and careless packing with crimps and short tears and splits at top (.5") and tail (2.5") of spine panel; paperstock is alkaline and still un-toned (where not exposed to air), a period-evoking reading copy. Laid in is an unused postcard to recipient with which to acknowledge receipt of this offprint. UCB publications, Semitic philology, v.1 n.1, p.1-55, February 1907. Bogota: Instituto Caro y Cuervo, 1952. Pamphlet. 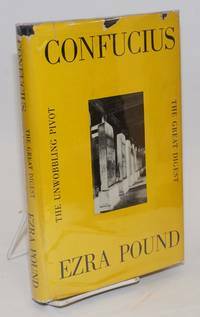 46p., softbound in plain printed 9x6 inch stapled wraps, inscribed neatly on the cover to Joaquin Nin-Culmel (Anais Nin's brother) and signed with Malkiel's initials. Item has a bad bump to the head of the spinefold affecting all leaves, and a little edgewear, and staples are rusting (no migration). Clean copy, otherwise sound. Shimizu: Nakamura Shintaro, 1961. vi, 156 p., very good hardcover in a dj with minor foxing. Profusely illustrated with black and white photos of ancient Japanese mirrors. Text in Japanese. Maluan: Los Talleres de Litografica for the author, 1993. Hardcover. 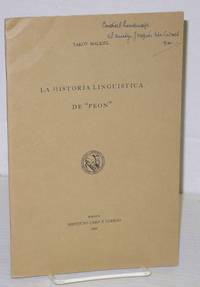 230p., 8.5x12 inches, text in Spanish, illustrated with photos and drawings of ancient artifacts, very good first edition limited to 1000 copies in boards with gilt decorations and titles, unclipped lightly-worn dj. 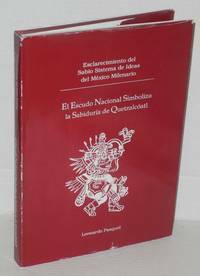 Esclarecimiento del sabio sistema de ideas del México milenario.